This appetizer is mostly carbohydrates due to the toasted bread. Enjoy one or two before a meal high in protein and moderate in fat. Or turn it into it’s own meal by coating boneless, skinless, chicken breast in a combination of bread crumbs and almond meal, baking it, and topping with tomato/basil mixture! 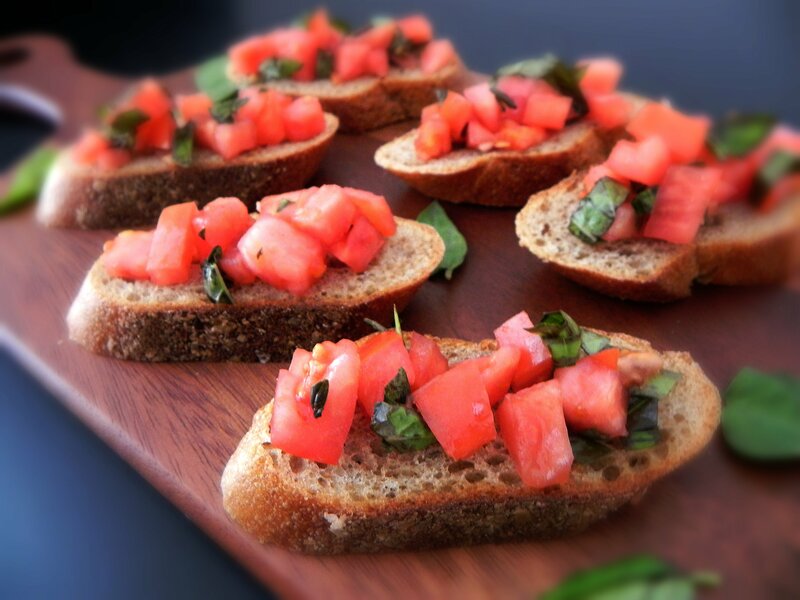 Top each slice of bread with tomato mixture and drizzle with extra balsamic vinegar if desired.